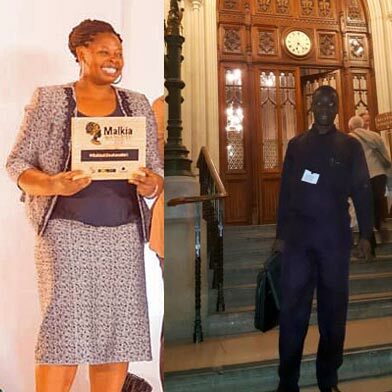 Congratulations to TDT local reps Rhobi Samwelly and Benedicto Hosea, who this week both received significant awards recognising their work. Congratulations to BTS members Hilary and Peter Bacon, back in Tanzania to extend their continuing personal commitment to supporting provision of computers within schools. 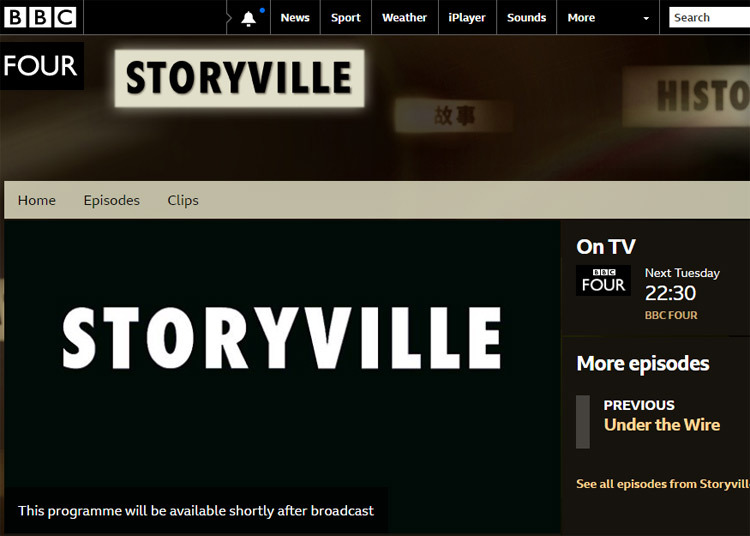 We encourage all our members and friends to watch, and spread the word on Defying the Cutting Season, part of BBC4’s Storyville series. It will air at 10.30pm on Tuesday, 26th February. Following BT’s decision close MyDonate, TDT is researching alternatives. Meanwhile, please don’t be deterred – donations can still be made on MyDonate until 30th June, and TDT is also a member of JustGiving. 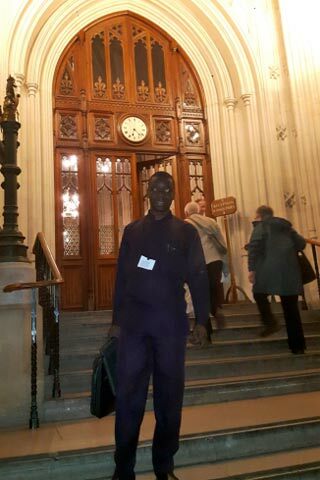 Addressing the APPG in the Houses of Parliament, the Geology for Global Development Annual Conference and our own AGM, Benedicto has made quite an impression on his visit to the UK! 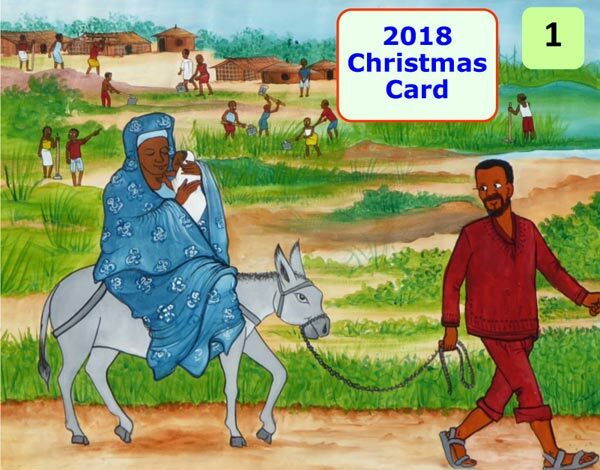 TDT’s 2018 Christmas card features a painting from Tinga Tinga painter Adam, ‘The Flight into Egypt’. It is now available, as well as a range of attractive notelets. 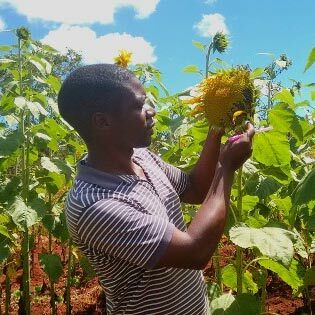 Tunamkumbuka, one of four ‘Ikimba Project Schools’ supported by TDT, was one of the most improved schools nationally last year. 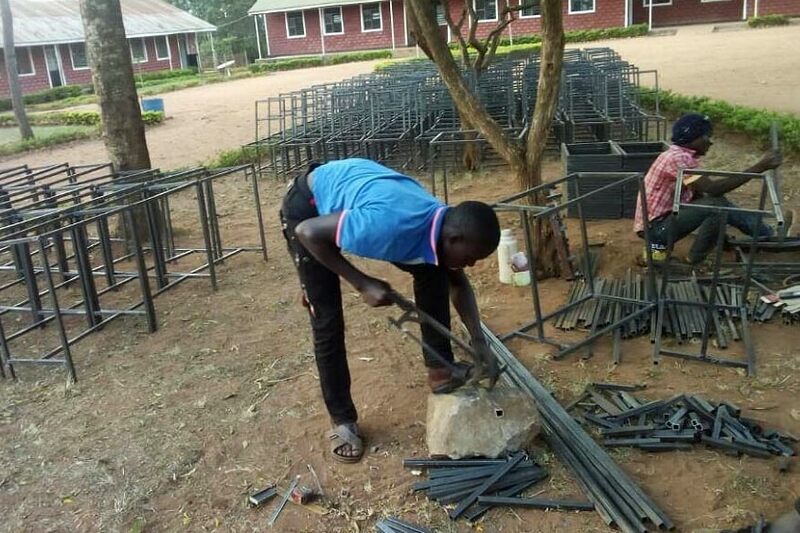 TDT was pleased to fund new desks and chairs to relieve pressure of numbers resulting from this success.